ashramblings: I’m the King of the Castle…..
I’m the King of the Castle….. I found this a very disturbing story of bullying and the vindictiveness of children to their peers, a world which adults fail to enter or understand. Charles’ mother takes on a new position as housekeeper and Charles is confronted by Edmund Hooper, quite the embodiment of the weak at core bully who immediately recognises Charles’ sensitivities and vulnerability and plays on these to sad and final ends. 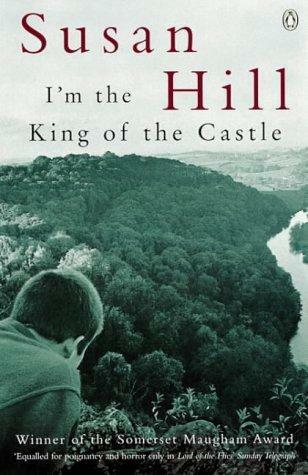 The book concentrates on the relationship between the children, the peaks and troughs of realisation, of weakness and of strength that Charles encounters as he struggles to survive the summer back from boarding school in a strange house of the Hoopers, father and son. The adult drama is played out along side the children’s but is seen mostly from the children’s viewpoint with only enough foreays into the personas of Mrs Helena Kingshaw, Charles’ mother, and Mr Joseph Hooper, Edmund’s widowed father, as they find solace and a future in each other’s company. How often did we hear the taunt “I’m the king of the castle and you’re a dirty we rascal” when we were young? On reflection, now as an adult, I find it interesting that the first half of this phrase can be used to express success, achievement and yet using the whole sentence has such a different connotation of looking down on another, disparagingly, all the taunting name calling of children in the playground. ashramblings verdict – 4* a disturbing, sad but memorable read from an expert craftswoman. Highly recommended.